Flossing is essential to keeping teeth healthy and warding off gum disease and infection. However, many people floss incorrectly without even realizing it. Luckily, with a few tips, you can keep your teeth sparkling clean and free of plaque. As this video shows, proper flossing technique involves using a foot and a half of floss to gently clean between each tooth with a fresh section of floss. In addition, be sure to clean beneath the gum line and clear out any loose debris with mouthwash or water. Click play to see a demonstration. The top dentists at Park 56 Dental of NYC are here to help you with all your general and cosmetic dental needs. Set up an appointment with us by calling (212) 826-2322. Teeth stain and weaken with age, sometimes turning a yellow or brown color. Cosmetic dentistry offers a number of procedures, such as veneers and teeth-whitening services, to reverse the signs of aging teeth. In no time at all, you’ll have a white, dazzling smile that will take years off your appearance and give your self-confidence a huge boost, thanks to all the compliments you’ll get. The Invisalign orthodontic treatment will align crooked or overcrowded teeth, giving you a more appealing smile in a short amount of time. If you think that orthodontics serve only aesthetic purposes, think again. A perfect smile can be vital to success in many career paths in which image is everything, such as sales, media, and public relations. Straight teeth achieved through Invisalign are also easier to brush and floss than misaligned teeth; in other words, a straight smile will help you prevent tooth decay and gum disease. Gaps and crooked teeth can leave small spaces that make air whistle as you speak. Similarly, improperly aligned bites, or malocclusions, can impair your tongue and lip movements, sometimes causing a speech irregularity known as a lisp. When you choose Invisalign to straighten your teeth, your speech may be significantly improved. Park 56 Dental offers the best cosmetic dentistry services in NYC. Our experts are fully accredited and are available after-hours for any emergencies you may encounter. 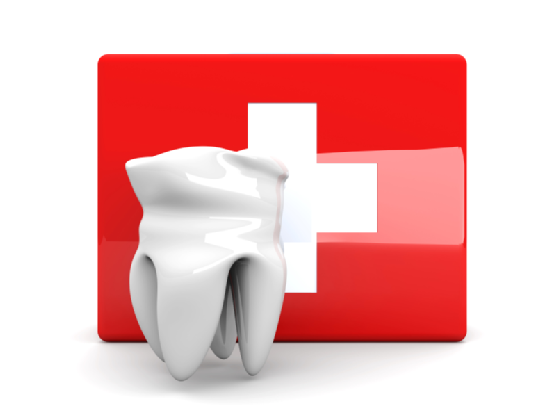 We also accept almost every dental insurance plan available to ensure we can help everyone in need of our services. Call us at (212) 826-2322 to set up an appointment today. Your dental health is dependent on how well you care for your teeth and gums. Between visits to the dentist, it is important to maintain a healthy mouth at home. The following resources will give you more information on how you can engage in effective daily dental care. Periodontal disease is a very serious and common condition that you can prevent through thorough dental care. The American Dental Association provides an overview of periodontal disease and what steps you can take to avoid it. For more information on ways to alleviate the pain of erupting baby teeth , read this article presented by MayoClinic.com. It is important to understand the basics of dental care . WebMD.com provides a helpful overview of brushing, flossing, eating the right foods, visiting your dentist, and even choosing the right toothpaste. Basic preventative dental care can save you money ! Read this article by The Washington Times which argues that living a healthy life and seeing a dentist regularly are the keys to keeping your mouth healthy. At the heart of effective dental care lies effective tooth brushing. Colgate.com provides a thorough guide to how to properly brush your teeth . An important component of your dental care routine is scheduling regular visits to the top dentists at Park 56 Dental . We are happy to answer any question you may have; call (212) 826-2322 today to schedule an appointment! 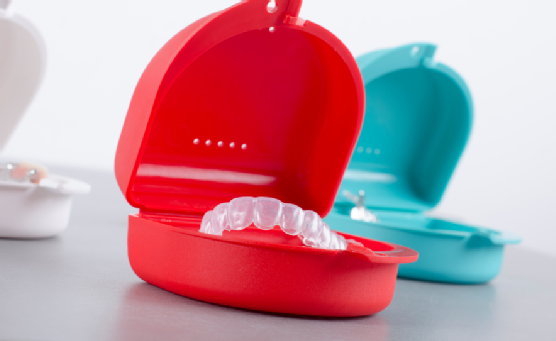 Why Do So Many Patients Choose Invisalign for Their Orthodontic Needs? If you live with overcrowded, gapped, or misaligned teeth, these dental issues can lead to periodontal disease , tooth decay, and jaw or joint problems. Invisalign effectively straightens and corrects your teeth, which can realign your bite and make teeth easier to clean, thereby preventing potential dental problems. As a result, Invisalign not only produces noticeable cosmetic results, but also helps keep you healthy. 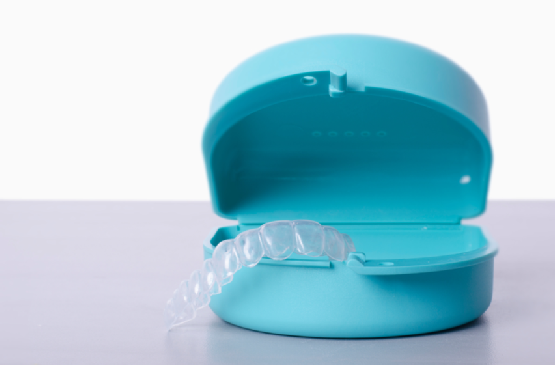 Invisalign aligners are virtually invisible, as they are constructed from a special kind of clear thermoplastic material. As a result, only you and your cosmetic dentist will know that you are receiving orthodontic treatment. You can have confidence in the knowledge that people will only see your smile, and not your braces. Invisalign allows you great flexibility and comfort because they are removable. You are able to take out your aligners while you eat, drink, and brush your teeth, so you are better able to freely care for your teeth and gums. Your aligners do not require a high level of maintenance, so you will not have to schedule as many dental appointments as other orthodontic approaches may require. Invisalign gives you effective treatment, without interfering with your daily life. If you are interested in Invisalign or another cosmetic treatment, Park 56 Dental can help you perfect your smile and oral health. Our top NYC dentists provide every dental procedure you require in a relaxing and comfortable environment. Book your complimentary consultation today by calling (212) 826-2322. How Does Stress Impact Your Smile? In today’s busy world, it is difficult to not feel the effects of stress. You may get headaches or back pain, but have you stopped to think about how stress may be affecting your dental health ? Stress can take a toll on your teeth. In fact, as this video shows, you may not even be aware that stress behaviors are impacting your smile. Bruxism, or teeth clenching, is commonly brought on by stress and can cause excessive enamel wear, headaches, and jaw aches. In order to ensure your mouth is in good health, it is vital to engage in excellent daily oral healthcare and regularly see your dentist for checkups. The top NYC dentists at Park 56 Dental provide a wide range of general and cosmetic dental services, including smile restoration and sedation dentistry. If you are concerned about the effects of stress on your oral health, or if you’d like to improve your smile, call us today at (212) 826-2322.